At the age of 19, Chef Eric Rodriguez began his culinary journey with a French Culinary Degree. He started off with an externship at the Arizona Biltmore, a Waldorf Astoria Resort where he learned a great number of work ethics. 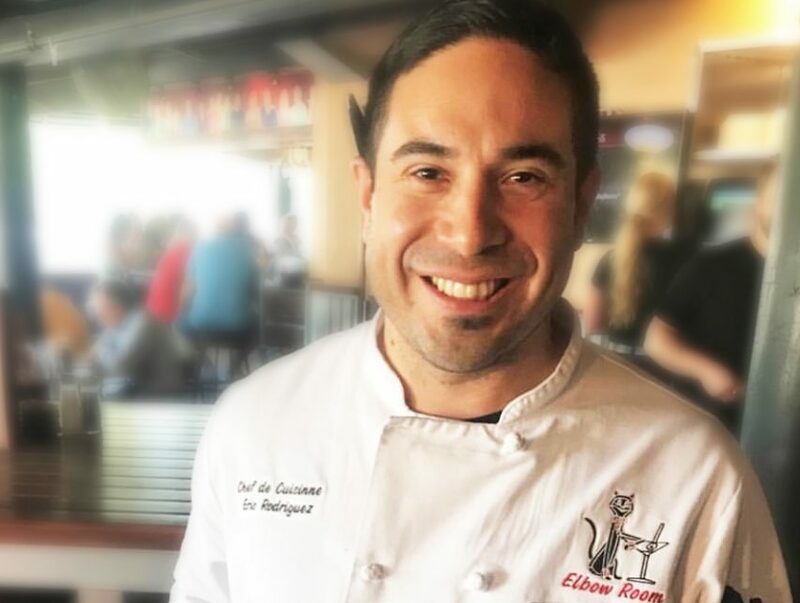 From there, Chef Rodriguez moved to San Diego, California where he spent four years working at two French restaurants. He later decided to head north towards San Francisco where he became Sous Chef at the Fairmont Hotel (aka “Lady of the City”). Chef Eric didn’t stop there. Before landing his position at Elbow Room in Fresno, he also worked at well-known restaurants McCormick & Schmick’s, Il Fornaio and Chart House in Cannery Row.